Here's a video tutorial of how I did my makeup using drugstore products only for an "everyday" glam look. Who said that you have to spend an arm and a leg to do your makeup and feel glamourous? Drugstore brands have been really amping up the quality of their products, and giving the high-end makeup brands a run for their money. In the video, I show you step-by-step how to achieve a very simple yet glam look using affordable drugstore products. The look is meant to enhance your features while still some what keeping it natural. It's a very easy makeup tutorial without doing too much. There are some products I'm using for the first time, and I talked about them in the video on what my first impressions are on them. 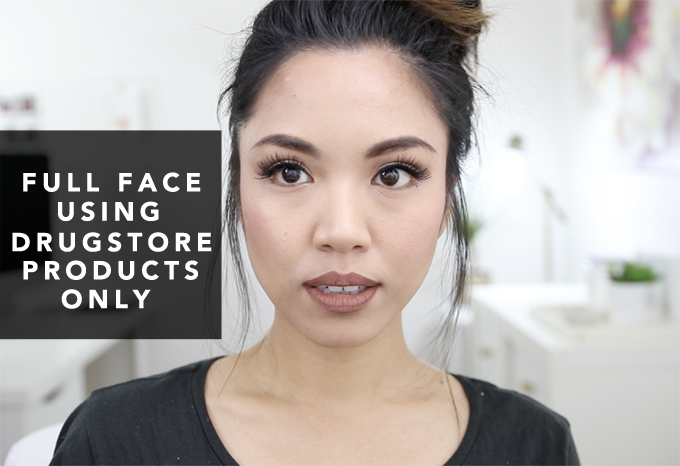 Find out which drugstore products they are, and what I have to say about it. I hope you enjoyed the tutorial! Let me know on the comments down below what your favorite drugstore makeup products you like to use daily.